InVenture: Why had Euralis decided to choose Ukraine for investments? We have a global approach. Ukraine is a priority market for us as we see a big potential in it. If we start considering European markets, they are in a stagnation phase of their development, as they have been already formed. Meantime, the Ukrainian market has not yet revealed its full potential. For now, Ukrainian farmers did not quite utilize the potential of investments into available technological properties of corn and sunflower seeds in particular, I must say. If to consider corn market alone, the western technologies of corn genetics cover some 60% of the total market volumes here. It is obvious that by investing into seeds, the farmers potentially may increase their harvest volumes and consequently improve their profitability levels. We possess technologies that are fully adapted for Ukrainian continental climate and we would like to increase our presence and the market share here. InVenture: What market share does Euralis have in Ukraine? Vladimir Yakovchuk: In Ukraine, our market share for sunflower seeds stands at 10% and for corn seeds - 7%. And our strategic goals are 15% and 20%, for sunflower and corn seeds respectively. InVenture: What are your plans about expanding your business? Vladimir Yakovchuk: We have obtained all of the necessary installations in order to develop further, in regards to general support and the investments made in Ukraine. So, we will set on enlarging our commercial team in order to have more opportunities in creating demand in the areas where the Ukrainian farmers do their businesses. InVenture: What is the optimal payback period for investments in Ukraine? Vladimir Yakovchuk: For business projects, it is five years. InVenture: Did the political crisis and the war in the east of Ukraine affect investment decision making? Vladimir Yakovchuk: At the time of making our investments into Ukraine, we considered not only the needs of domestic market, but we also expected that 30-40% of our production from Ukraine would be exported to Russian Federation. As a result of the embargo, Ukrainian companies were banned to make exports to Russia in 2014 because of the well-known vicissitudes. As of present, Ukraine cannot also export seeds to the EU. Consequently, we are limited within a local market. On the other hand, there are markets of Belarus, Moldova, and Serbia, but they are relatively small ones. As a result, all the products we made for the Russian market remained in Ukraine. Speaking of the seeds produced for Russia, they are not well suited for Ukraine being FAO seeds of early maturing varieties, if to consider corn as an example. On that account, those seeds stay put in our stocks and have not been yet sold out since 2014. As for Ukraine, early generation seeds of the FAO groupings comprise some 20% of the market share being specified for western and northern parts of Ukraine, and it is a lower price niche. For seeds that were not exported to the Russian Federation, we came up with the Green Line program - a program of destocking aimed at support of Ukrainian farmers who are buying these seeds at a lower price. InVenture: Do you support or carry out some social projects in Ukraine, and which are they? Vladimir Yakovchuk: In 2010, we bought a farm. Besides the machine and tractor station, we got a dairy farm in the balance sheet. Milk is not the core business of Euralis, but we decided to keep up with the business then. We have chosen to invest in the project in the circumstance that it was not our main business. Up to the present, we have kept with it. We made this business profitable and make money on milk too. But in essence, it is a great social project. We develop social infrastructure of the villages where Euralis is present. We conclude social contracts with the village councils. To put it plainly, we allocate some fixed amount upon a cultivated hectare. Thus, the company spends on the development of rural areas. It can be schools or kindergartens. The allocation of the social means is always discussed with the local mayors. InVenture: How much is it in monetary terms? Vladimir Yakovchuk: It is about UAH 2mln that we have spent for the last 7 years on the latter social project. And if to talk about our dairy farm, it would be like EUR 400 000 a year in 2012-2013, as we tried to support the unprofitable business where 100 people work there, as of present. In general, milk business had been unprofitable for about three years in total and we lost some EUR 1.2mln. And if to consider direct investments, they amounted to EUR 1mln into the equipment and tractors. InVenture: What are the challenges of doing business in Ukraine? Vladimir Yakovchuk: First of all, this is market volatility. For example, the devaluation and the exchange rates: what to do? to raise or fix the price? It relates to the cost of production! But on the other hand, we do not fully extrapolate the negative effects compared to other companies, as we work locally and our products are anchored to the hryvnia. Another difficulty was the recent bureaucratic negative aspects related to the absence of the domestic certificates for seeds, and we couldn’t be selling. (Edit. seed certification in Ukraine was blocked for several months, due to the liquidation process of the State Inspection for Agriculture in Ukraine). InVenture: What strategy does Euralis prefer in investments─ establishing new enterprises or engaging in M&A? Are start-ups of interest for Euralis? If so, which ones and at what stage you’d be willing to participate? Vladimir Yakovchuk: If to go back in time, we historically invested into the existing plant in 2007. As investors we got access to a certain production algorithm in operational management. We also obtained the most important asset which is human capital. People, who worked there, knew the region very well, its specifics and peculiarities of work. Later we decided to expand and doubled our production capacities at that plant. So, our investments were channeled into the established business. For the moment, we have enough production capacity to cover the Ukrainian market. If to talk about the possibilities of starting exports to the EU, then maybe yes, the issue will arise concerning additional investments because we would be able to cover not only domestic market, but also send products to the EU countries. As for start-ups, there are many technological novelties in agriculture in general. For example, there is an Airbus program. The manufacturer of the airplanes offers a service for assessing the mineral content of soil with the help of satellites which the company uses. This very project we plan to implement here in Ukraine. InVenture: Is this a global project or a local effort? Vladimir Yakovchuk: This is a local matter of cooperation. We have just started it. For example, when selling seeds we face a farmer who is wondering about the value of buying from us. He gets genetics, he gets quality, and he gets some extra dressing. In what follows, he gets a certain quality of service. That’s why we want to continue adding value for our products propping it up somehow, as it is important to show up advantages and differentiation. We have a lot of competitors, and they are all pretty well-known. They all also want to have a large market share, so the creation of an extra interest towards our products is of a top priority for us. And the abovementioned service is coming to the development phase. Such a service was successfully implemented in France and Germany. 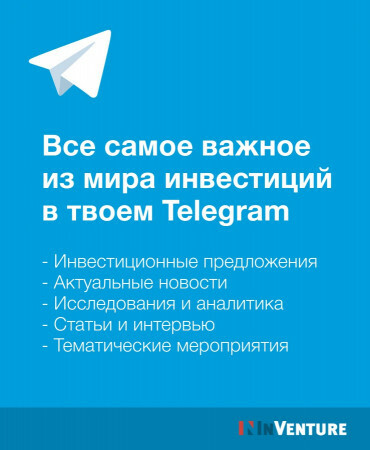 And we would like to launch it in Ukraine too. InVenture: What things do you lack in order to actively develop? Perhaps, these may be scientific centers, technical centers, land, etc.? Vladimir Yakovchuk: Generally speaking, we invest about EUR 3mln annually in Ukraine. We buy (change) new machinery for use. If to compare, in France we have a different model when a farmer, who is a shareholder of our company, uses his own machinery and grows plants on his own soil. After harvesting, he gives it to us for processing and we pay them premiums in the form of dividends. In Ukraine, it is a way different. Here we are fully responsible for the entire production cycle. Considering investment prospects, everything will depend upon global foreign policy. As of present, the aspect of exports to the EU from Ukraine indeed depends more on the EU but not Ukraine. InVenture: But the European market is not striving for Ukrainian products at all, is it? 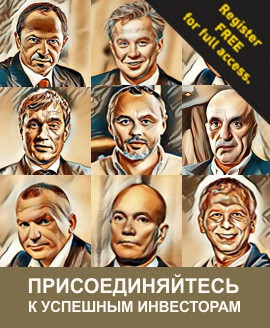 Vladimir Yakovchuk: This is probably true. Vladimir Yakovchuk: Yes, there is such an issue. And in France, the protective measures for agricultural producers do exist too. But I believe that the seed production business has a certain momentum attributed to diversification. That is, if you produce only in one climate zone, for example, in France, then you bear more risks for the crop yields. Diversifying risks is an argument for its favor. For instance, we produce sunflower in Ukraine, partly in Serbia, the USA, and Spain. We can produce it all in France or Spain. But we make diversification utilizing different climate zones. From the local perspective concerning Europe, our market locations are in the nearest abroad ─ Hungary, Poland, part of Germany, and Romania. 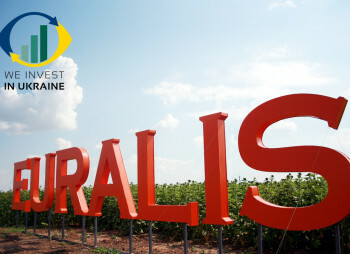 Since 2007, Euralis has definitely changed a stereotype that the seeds produced in Ukraine are worse than European. They are in no way inferior in quality, especially if the company controls all the production cycles itself. The price policy in Euralis is not different for seeds produced in Ukraine or France. InVenture: Is it an important factor in investing for your company that Europe trusts Ukraine in providing financial support? Vladimir Yakovchuk: During the crisis of 2014, we created a global committee for Ukraine. All believed in Ukraine at that time. Certainly, we were afraid of some military actions, but our company never had intentions to leave Ukraine. In 2014-2016, we continued to invest into our development. Indeed, Ukraine is a strategically important country for Euralis. 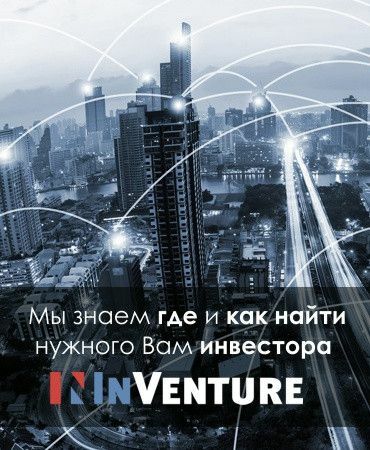 InVenture: How to overcome risks while investing in Ukraine? What is your recipe for other foreign investors? Vladimir Yakovchuk: The first thing you need to understand as the investor is the rules of the game play in the Ukrainian market. They are slightly different from the generally accepted European rules. The second is people. As I put it before, we have tangible assets in the balance sheet and there is yet another very important asset, and it is people. Obviously, we have good technologies but their implementation would not have been possible without the people who directly offer and develop the products. Properly selected team is a very big asset for our company. It is the very people on the ground who help to overcome all the risks. InVenture Investment Group – your trusted partner on Ukrainian market. We are open for cooperation and will be beneficial in dealing with mergers and acquisitions (M&A) in various industries, development and implementation of investment strategy, support of entry into Ukrainian market for international investors.